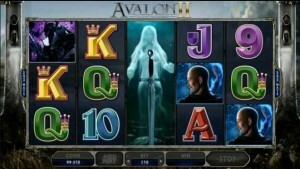 Golden Riviera Casino :: NEW Video Slot – Avalon II: The Quest for the Grail :: PLAY NOW! After the popularity of the original Avalon, Microgaming™ has finally appeased fans with the release of the next instalment of this Arthurian adventure. Avalon II will be available for Golden Riviera players and it promises to be an even bigger adventure than its predecessor. The legend continues in this 5-Reel, 243-Ways-to-Win Video Slot that will capture the players’ imagination with 3D animations that deliver worthy adventurers straight into a world of magic and majesty, with a soundtrack and voice acting to rival any major motion picture. As well as the usual collection of features such as Wilds, Multipliers and Scatter symbols, the jewel in the crown of this gaming masterpiece has to be the two Bonus games: the Merlin Bonus and the Grail Bonus. The latter unfolds as an eight-part quest that leads ever closer to eternal glory. Along their treacherous journey, players will get to reforge the great sword Excalibur, spin the Wheel of Fortune and defeat the Black Knight in an attempt to reclaim the Grail. The eight stages along the way are Lake of Legends, Misty Vale, Whispering Woods, Forest Falls, Dusky Moors, Morgan’s Keep, Hall of Shadows and Isle of Avalon – each bringing their own winning opportunities as they immerse players deeper into the mythology of the game. 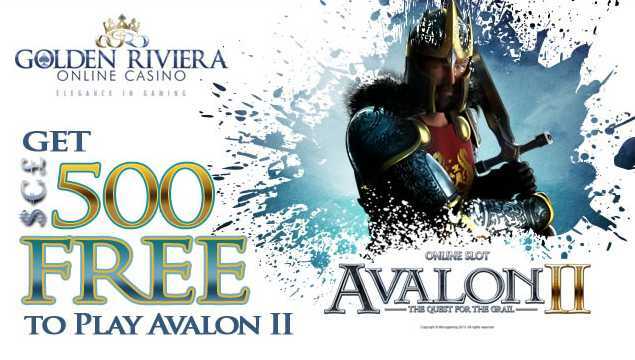 Experience the legend, play at Golden Riviera Casino.